Log, a kind of symbol represents nature in this steel world, is one of the favorite pattern among industrial designers. There are many interesting designs using log pattern and shapes to bring outside in. 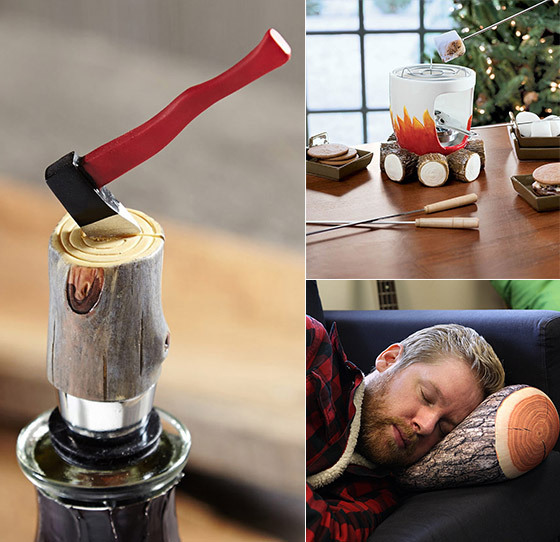 Here we hand picked 7 Cool and Unusual Log-shaped Products, from head cushion to plant pot, from wine stopper to paper towel holder, these cool log inspired design will definitely bring you some nature breeze. Now you can sleep like a log when you relaby your head and neck on this log shaped pillow. This novelty pillow looks like a log, but (thank goodness!) doesn’t feel like one. Custom contouring microbead fill and spandeby cover. when you pour water through the knothole, the tiny squirrel will appear in its peephole and will show that the plant has enough water. As the water level decreases, you will see less and less of the tiny squirrel. 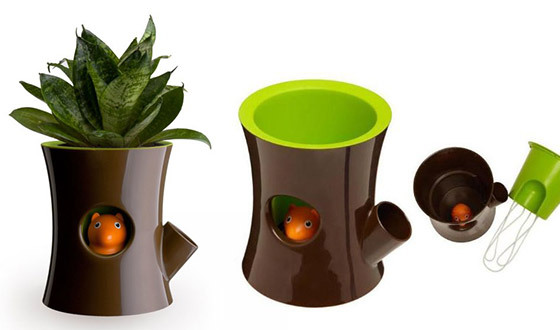 If you only see its big, round eyes, then the squirrel and plant are awfully thirsty and it´s high time to water again! No need to build a campfire or search for sticks to enjoy America’s favorite treat. 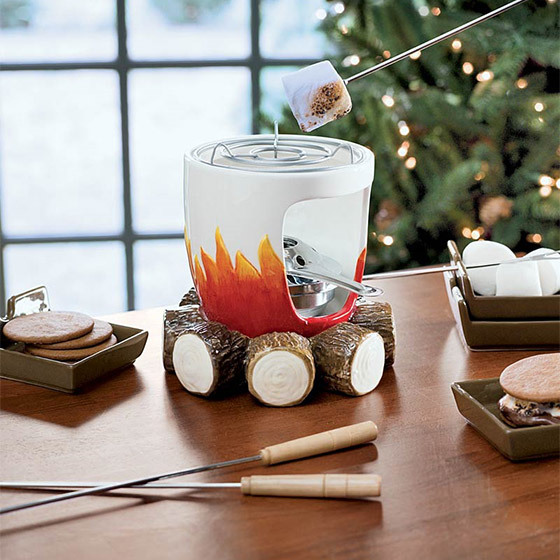 Use this cute Log and Fire S’mores Maker and Sterno fuel to toast your marshmallows indoors. Set includes 4 sticks for toasting and 4 plates for sharing. 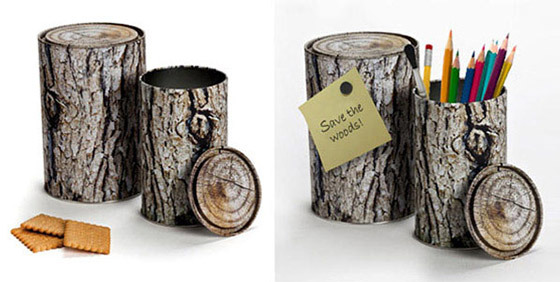 These unique log-shaped storage containers come in a set of two and are perfect for storing office supplies, cookies, nails or just about anything you want. 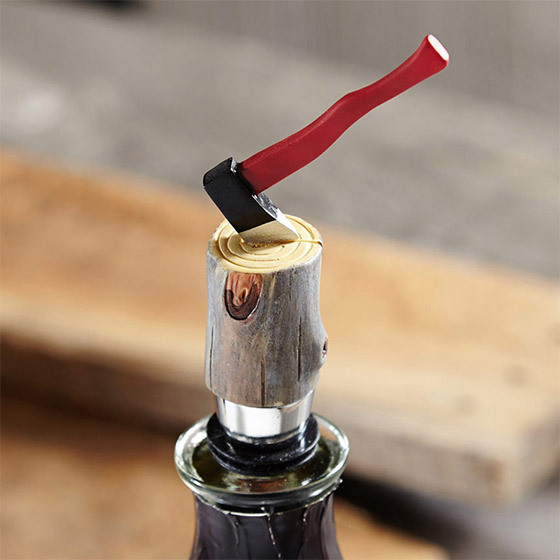 This cool lumberjack redneck bottle stopper has a eye catching topper of a tree stump with an ax in it. The base is made of stainless steel with rubber sealing along the top of it to keep your spirits sealed tight. 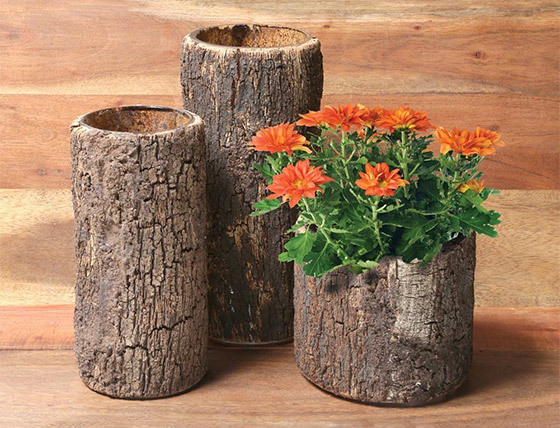 Gorgeously unique, with real bark adhered to glass vases creating an ultra-natural look. Fill one with fresh blossoms that contrast perfectly against the dark wood, or use two or three vases to create an amazing dried-floral arrangement. 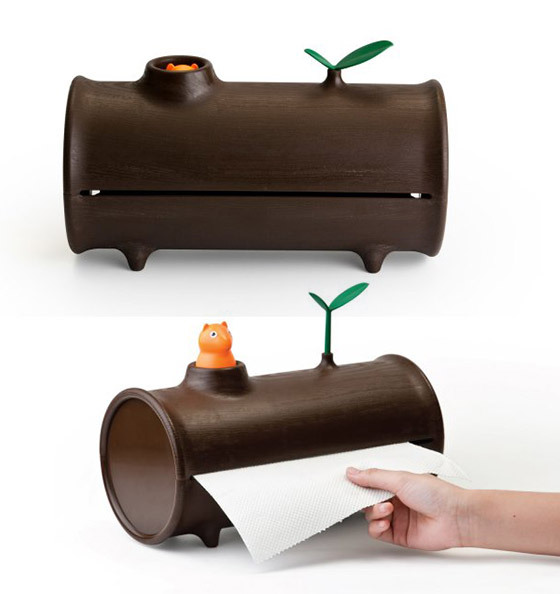 he paper towel roll is housed in the log along with a cute, little squirrel. When the roll is full, the tiny squirrel peeks boldly out of the knothole. As the paper towel roll begins to shrink, then you will see less of the tiny squirrel and the budding branch.